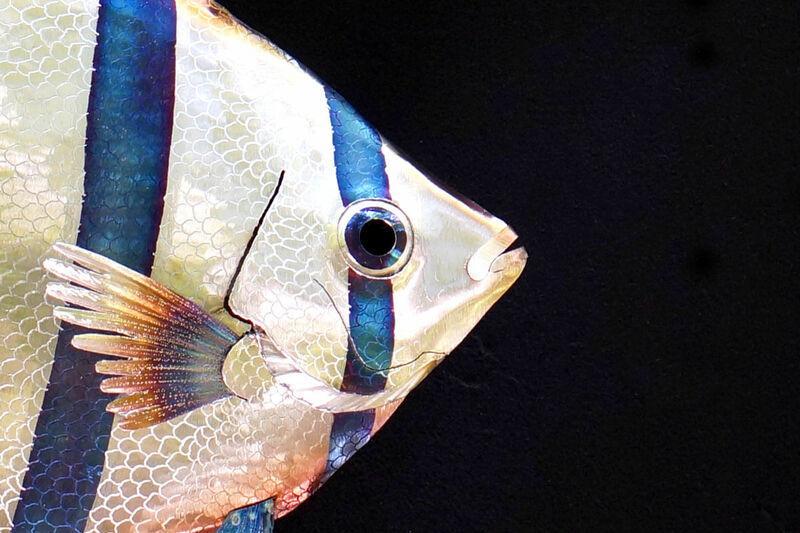 This freshwater angelfish is a handmade wall hanging metal sculpture made entirely of stainless steel. 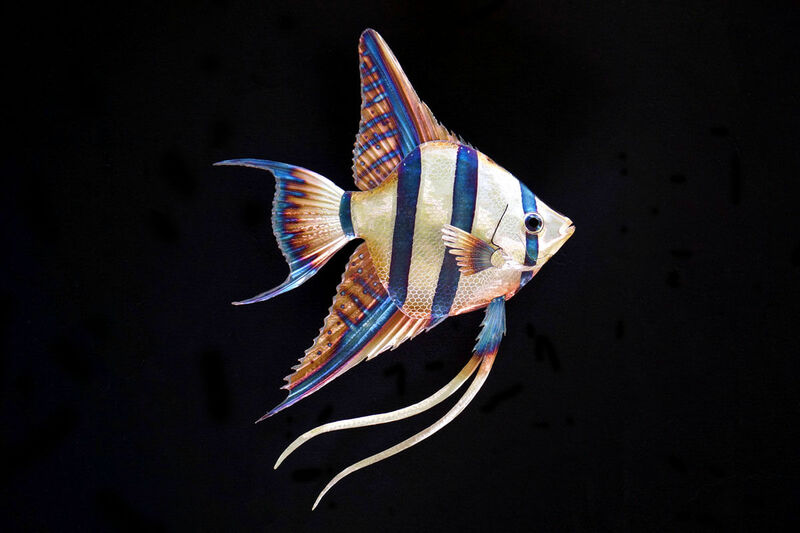 I created my first angelfish design as part of my senior thesis show to represent someone very close to me at the time. Someone with incredible beauty, who moved with grace. I was struck by the incredible elegance of the long flowing fins paired with the cuteness of face and the overall beauty of this incredibly unique creature. I received an order for one from a gallery and didn’t want to part ways with my original piece as it had sentimental value to me so I decided to redesign it. This was a fun process because I had grown in my abilities since that first fish and was able to add more subtle details like scales that match the background colors. These little additions are what really help breath life into a piece! I also love the subtle implied motion created by the long flowing fins. 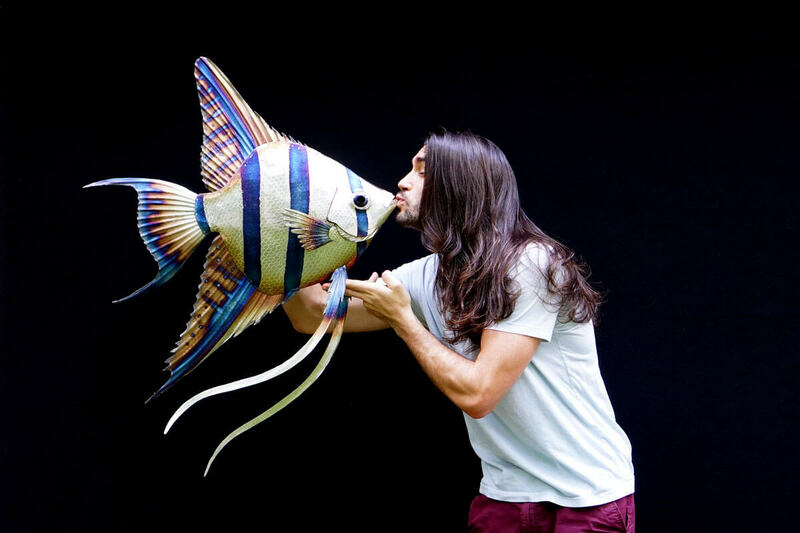 Artist Aiden Dale with freshwater angelfish sculpture. Close up of freshwater angelfish eye. 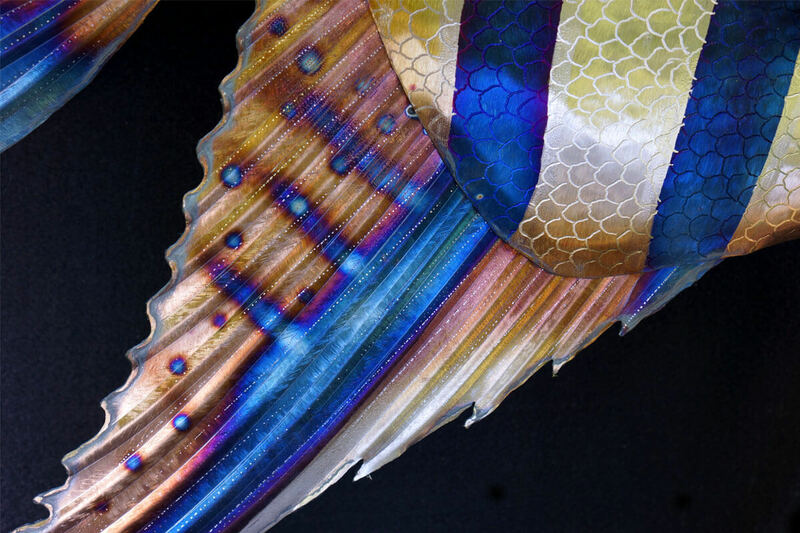 Close up of freshwater angelfish fin.